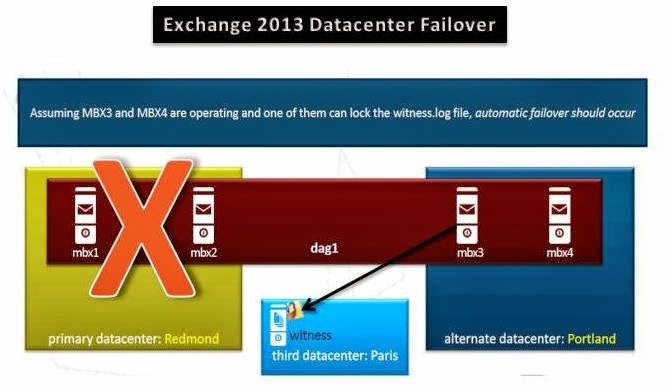 Exchange server 2010 introduced a new High availability feature called Database Availability Group (DAG) This is improvised from the concept of Continuous Replication introduced in its predecessor Exchange server 2007 which made this product a great success in terms of Managing the server upgrades and providing continuous service availability to the end users. DAG provides us more flexibility of having database copies located across different data centers and different sites (Cross site DAG) to provide high availability. 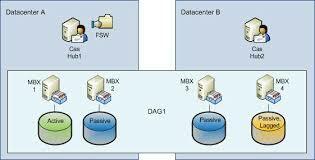 DAG uses the underlying Windows Failover clustering model to function and utilizes the Node Majority Quorum model for odd Number of DAG and the Node and File share witness Quorum model for Even number of DAG and this two models are the one available with 2010 DAG and new innovations made in Exchange 2013 which will be discussed later in this topic. Review the below presentation to know more on DAG and how its deployed and function . 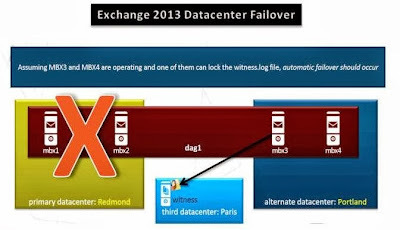 With the Latest Release of Exchange server 2013 DAG is still further enhanced with new features like Single Namespace which full fills the need of having a common name space specified across different data centers in different sites provides flexibility of having the Witness server in a 3rd well connected data center for Automatic "Data center Fail-over" which is now possible. Further to add another feature of Windows server 2012 called Dynamic Quorum which makes the DAG even more resilient. Even now Microsoft is working towards the feature of providing the facility of hosting the witness server in cloud (Azure) which will provide continuous Availability of service to end users . Read this below blog to know more on the present and the future of DAG .